The James O’Malley Scholarship Program at St. Peter’s Boys High School was established in 2018 by Thomas D. ’59 and Mary Alice O’Malley in honor of Mr. O’Malley’s father, James, a former U.S. Customs officer serving in New York City. The program provides for three (3) scholarships annually to sons of active duty or retired New York City policemen and/or U.S. Customs and Border Protection officers based in New York City. 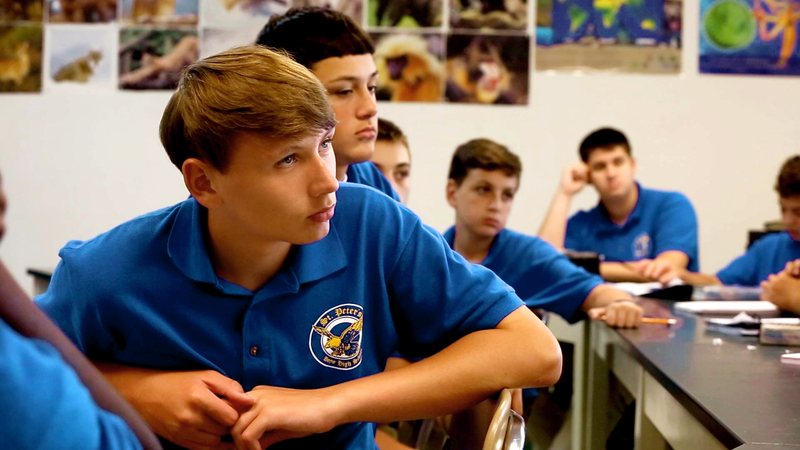 Each scholarship will provide approximately 80 percent of the total annual tuition for each student for his four (4) years of enrollment at St. Peter’s Boys High School. Each awardee family will be required to pay only a flat fee of $2,000 per school year. Parents and/or lawful guardians of incoming freshmen who are want to apply must complete this online application. Questions about the O’Malley scholarship may be directed to the President’s office at (718) 447-1676. All applications must be received no later than June 1. Late applications will not be accepted. Those receiving awards will be notified by July 1, preceding the school year to which the award is to be applied. Sons of active duty or retired New York City Police Officers: Approximately 80% tuition scholarships are available for eligible incoming Freshmen. Sons of active duty or retired U.S. Customs and Border Protection Officers: Approximately 80% tuition scholarships are available for eligible incoming Freshmen. Total Scholarships Available: Three (3) new scholarships providing approximately 80% of annual tuition are available for each of the next 10 years. Scholarship Duration & Ongoing Qualification: Each awarded James O’Malley scholarship will be provided to awardees for approximately 80% of annual tuition for all four (4) of their enrollment years at St. Peter’s Boys High School. Grades and conditions will be reviewed each year before continuing awards are granted. Applicants must submit elementary school grades as presented on their 9th grade applicant record of referral (provided by applicant’s elementary school guidance counselor). Applicants must submit two (2) letters of reference. Recipients must maintain a minimum 85 final average in each award year with no failures and remain in good disciplinary standing to maintain program eligibility.